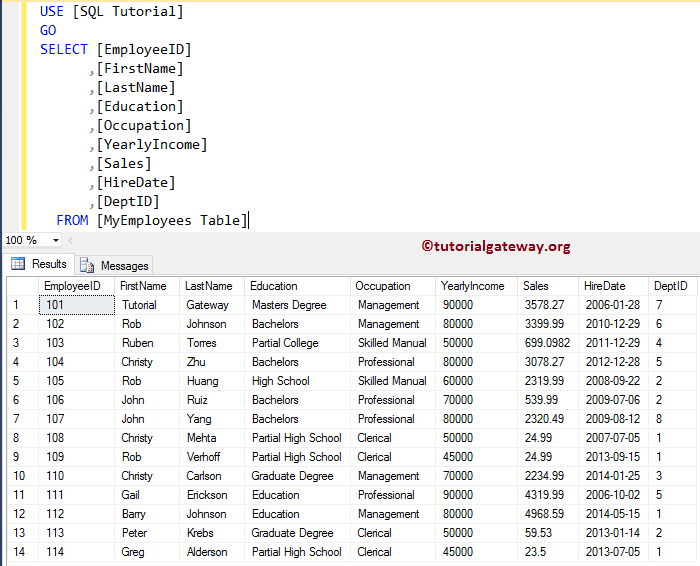 The SQL GROUPING is one of the SQL Aggregate Function, which is used to indicate whether the specified column in a GROUP BY Clause is aggregated or not. This function will return one for aggregated, and zero for not aggregated. 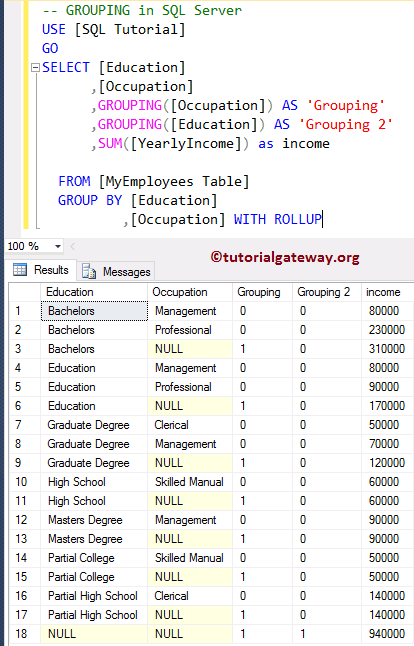 The Grouping in SQL Server simply returns whether the grouping on the specified column is happens or not, by returning 1, and 0. In this example, we will show you the same. TIP: Please refer SQL GROUP BY Clause to understand the Grouping techniques.